Where there are multiple insureds under a single policy, each insured is entitled to a separate defense. 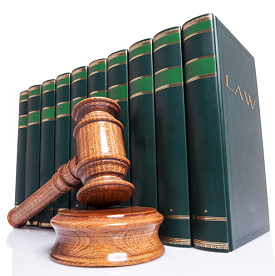 An insurer owes a duty of good faith and fair dealing to each insured. An additional insured, however, may have to elect coverage under the policy by notifying the insurer of his election and demanding a defense. The Georgia Supreme Court has ruled “where…an insurer assumes and conducts an initial defense without effectively notifying the insured that it is doing so with a reservation of rights, the insurer is deemed estopped from asserting the defense of noncoverage regardless of whether the insured can show prejudice.” This opinion impliedly overrules a long line of cases previously holding that the doctrines of waiver and estoppel are not available to bring within the coverage of a policy risks not covered by its terms, or risks expressly excluded. An insurer that denies coverage and a defense for a specific reason waives the right to deny coverage for other reasons at a later time. In Hoover v. Maxum Indem. Co., a claimant was injured while working for his employer. The claimant filed a lawsuit, and the insurer denied coverage and refused to defend. In the letter denying coverage, the insurer relied on an Employers Liability Exclusion as the basis for the refusal to defend. The denial letter stated that it reserved the right to deny coverage for other reasons at a later date. The claimant received a $16.4 million judgment, took an assignment from the insured and filed suit against the insurer. The insurer defended based on the Employers Liability Exclusion as well as late notice. The trial court granted summary judgment for the insurer on the late notice issue, and the Court of Appeals affirmed. The Supreme Court of Georgia reversed, ruling that the insurer had denied all coverage defenses not set forth in the denial of coverage. An insurer who defends under a proper reservation of rights may withdraw its defense if the investigation reveals non-coverage, but the insurer must do so seasonably and not delay its decision. If an insurer learns of information indicating that no coverage exists under the policy, the insurer is required to inform the insured immediately. In addition, an insurer who pays the excess of a property damage claim without a reservation of rights has not waived the defense of noncoverage where no action had been filed and the insurer had not undertaken the defense of the insured. An insurer may also be estopped to deny coverage if the insurer undertakes the defense of the insured and is negligent in its handling of the defense. While a declaratory judgment is authorized when circumstances show a necessity for a determination of the dispute to guide and protect the plaintiff from uncertainty and insecurity with regard to the propriety of some future act or conduct, rescission is not characterized by uncertainty. To the contrary, if a party to a contract seeks to avoid it on the ground of fraud or mistake, he must, upon discovery of the facts, at once announce his purpose and adhere to it. Since MLM took a firm position as to its rights in requesting rescission of the policies, a declaratory judgment was inappropriate.